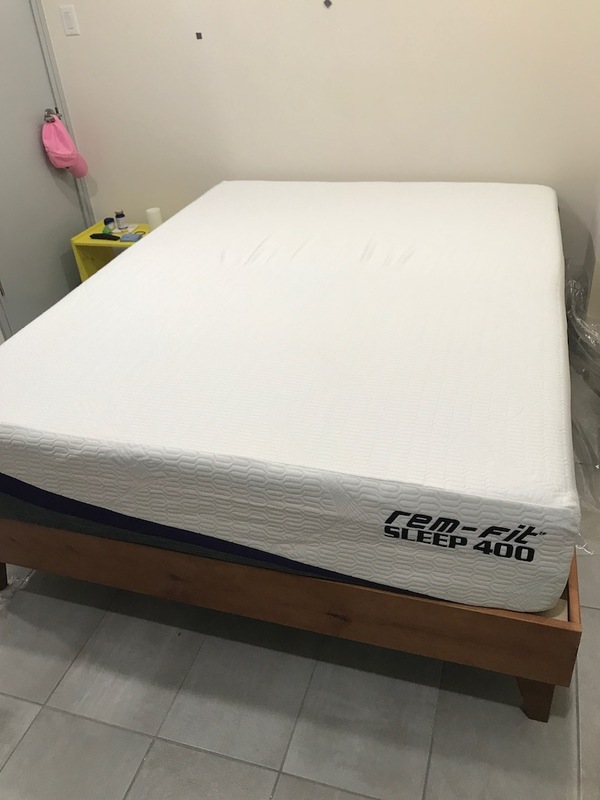 REM-Fit Sleep 400 Mattress Review was recently completed by the MattressJunkie.com team. REM-Fit is a division of Protect A Bed and has 35 years of sleep industry experience. 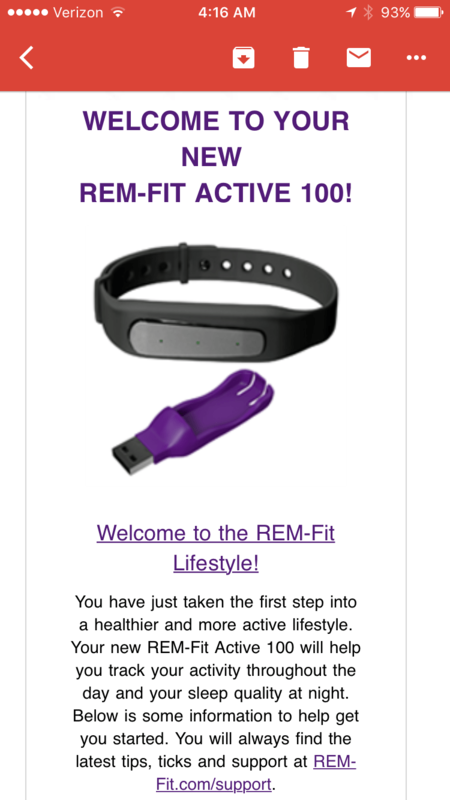 The REM-Fit team believes in a restful sleep experience and has an array of sleep related products. REM-Fit was launched in 2014 as an active bedding brand that helps sleepers achieve a healthy and active lifestyle by getting the best sleep possible for maximum recovery and comfort. REM-Fit sent over a queen REM-Fit Mattress for this review. The REM-Fit Sleep 400 Mattress in queen retails for $1099.99 and is made of memory foam. 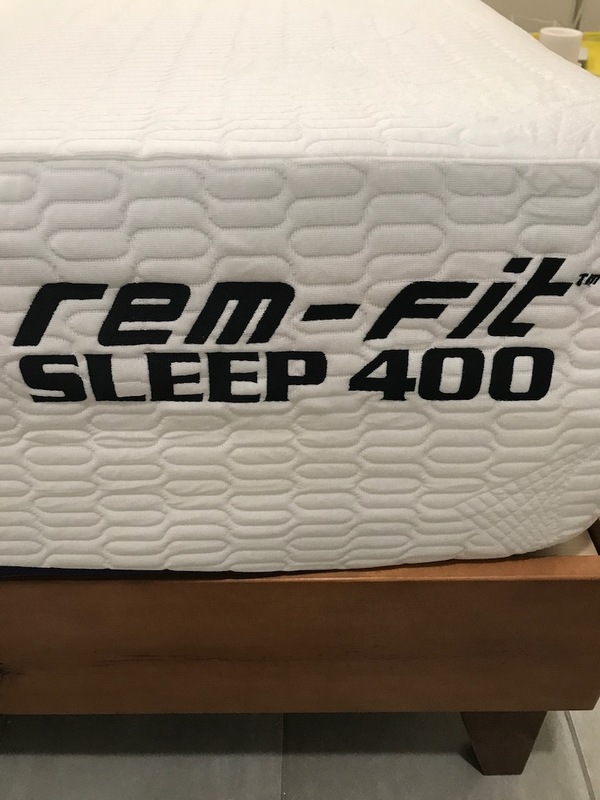 We recently reviewed the REM-Fit Sleep 300 Mattress and were very pleased with it so read more on the REM-Fit Sleep 400 Mattress below. 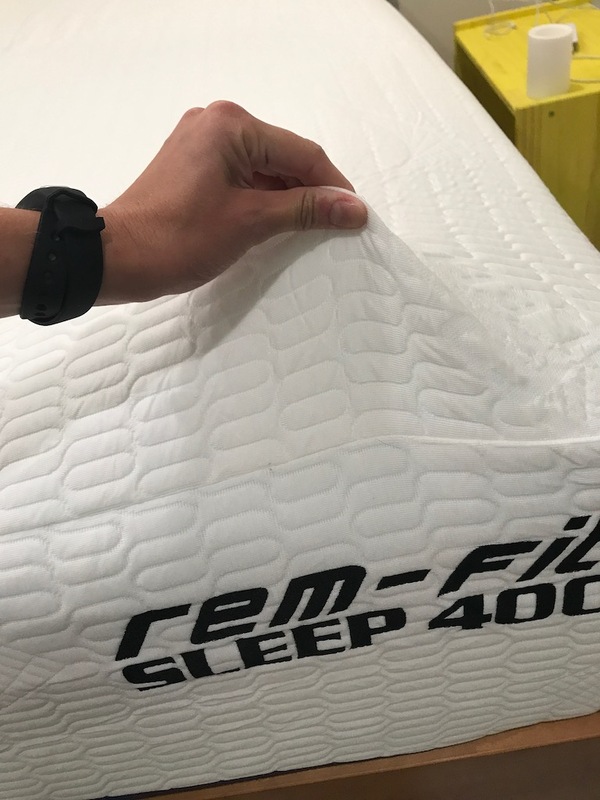 What’s the REM-Fit Sleep 400 Mattress cover made of? REM-Fit Sleep 400 Mattress cover is made of Hi-Flow knit. The Re-Ax Unleased temperature regulating, moisture wicking cover has ventilated side mesh that keeps heat from building up under the sleeper’s body. This nicely hugging cover is mostly white with purple accents. The cover is attractive and high quality. What’s under the REM-Fit Sleep 400 Mattress cover? REM-Fit Sleep 400 Mattress is 12 inches in height and has 3 layers of foam. The first layer under the cover is 2 inches of cooling gel memory foam. The gel infused memory foam serves as a comfort layer while also serving as a temperature regulating layer that disperses heat from the sleeper’s body. The second layer is 2.5 inches of response foam. Response foam provides support and comfort to the mattress. Response foam is great for multi-position and restless sleeper’s. Response foam responds quickly to changes so sleeper’s can achieve optimum support for multiple sleep styles. The last layer is 7.5 inches of support foam. 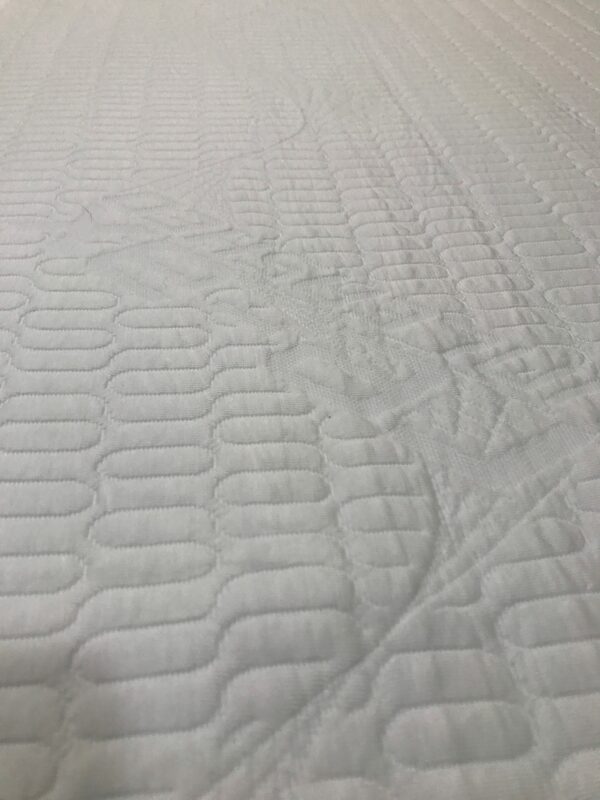 High quality support foam is critical for the overall longevity of the mattress’s lifespan and long term support. What type of sleep style works best for the REM-Fit Sleep 400 Mattress? The REM-Fit Sleep 400 Mattress is medium in terms of firmness. Medium mattresses work the best for back and side sleepers. Stomach sleepers usually prefer a firmer sleep surface. 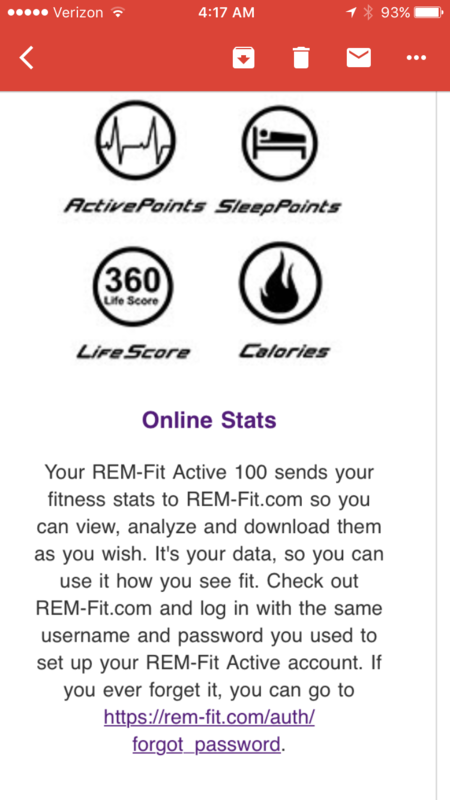 How much does the REM-Fit Sleep 400 Mattress cost? 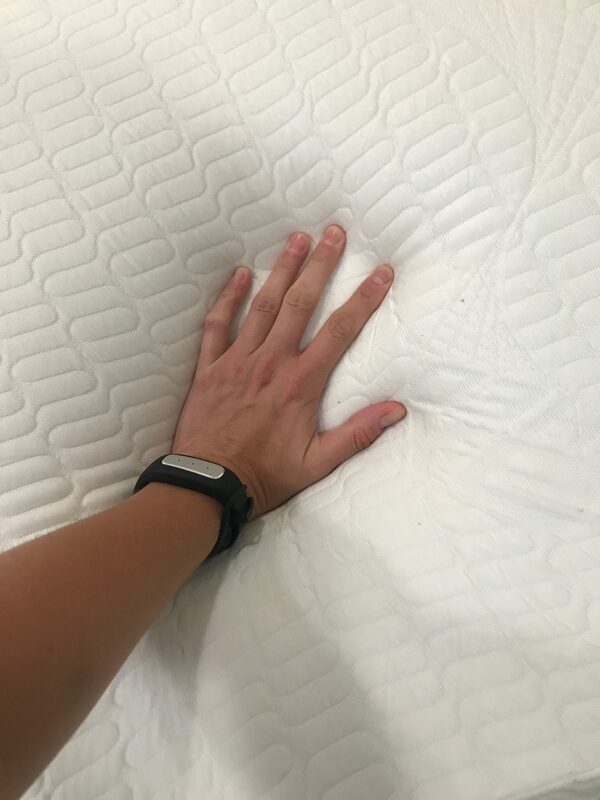 What type of warranty does the REM-Fit Sleep 400 Mattress have? The REM-Fit Sleep 400 Mattress has a 25 year warranty. Most memory foam mattresses have a much shorter warranty period. REM-Fit Sleep 400 Mattress is made with high quality materials and built to last. The 25 year warranty is a direct testament to the quality of the mattress. What surface is best for the REM-Fit Sleep 400 Mattress? 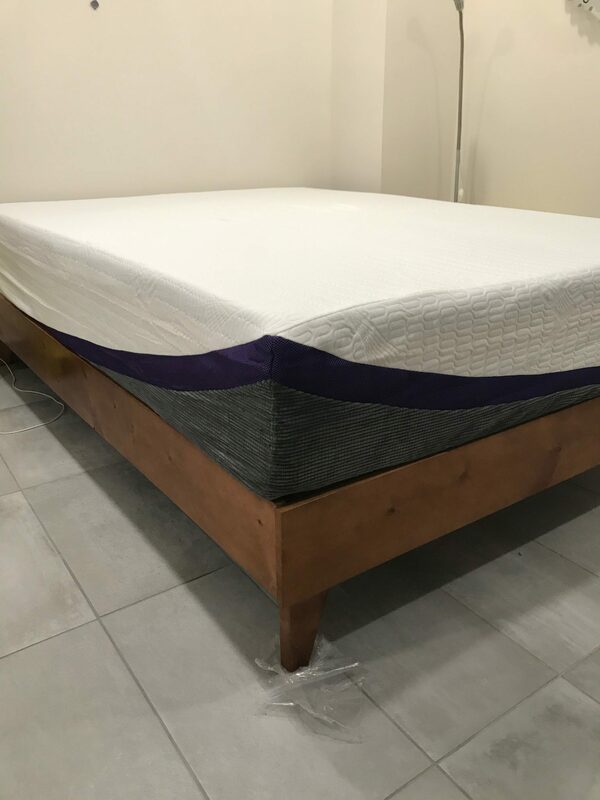 We reviewed our mattress on a platform bed. Any hard surface like a platform base, box spring, adjustable bed, or the floor would work great with the REM-Fit Sleep 400 Mattress. Do we recommend the REM-Fit Sleep 400 Mattress? We loved the REM-Fit Sleep 300 Mattress but the REM-Fit Sleep 400 Mattress is even better. The extra 2 inches in height is a big difference when comparing the two mattresses. REM-Fit Sleep 400 Mattress was just the right level of coolness and firmness for me. I am a side sleeper and side and back sleepers would like the REM-Fit Sleep 400 Mattress. 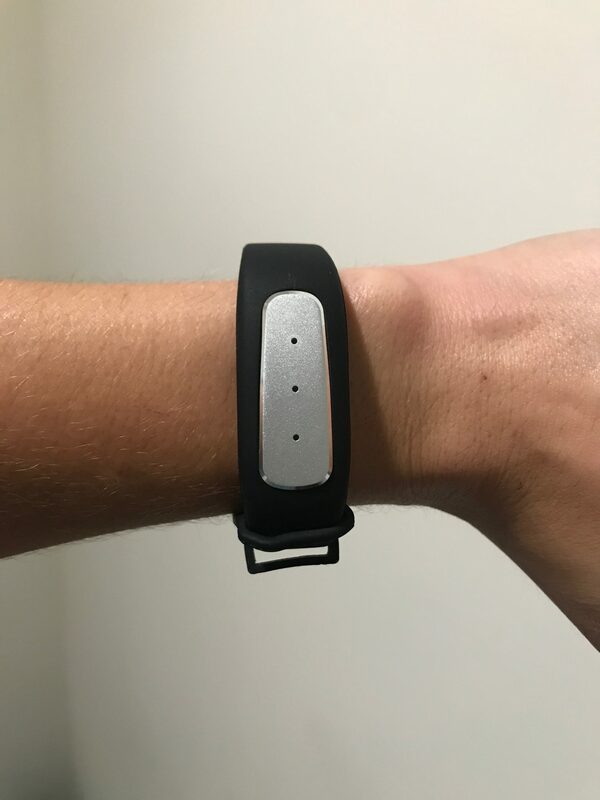 REM-Fit also gives each purchaser an activity tracker so you can actually measure your daily activity and sleep. This is great for those who are wanting to actively make changes in their daily life. REM-Fit Sleep 400 Mattress is a great choice for side and back sleepers who want just the right level of comfort and cooling. REM-Fit really exceeded our expectations with the REM-Fit Sleep 400 Mattress. Learn more about the REM-Fit Sleep 400 Mattress here….